The estimate number of people who use injected drugs (PWID) in Kyrgyzstan is about 25,000 people. Many of these people are women. Such is the data from the research that was conducted within the framework of the Global Fund’s grant in 2013. In 2016, Public Fund (PF) Asteria, a community based organisation that protects rights of women who use drugs in Kyrgyzstan, applied to AFEW-Kyrgyzstan seeking for a help in developing a clinical guideline to care in pregnancy for women who use drugs. 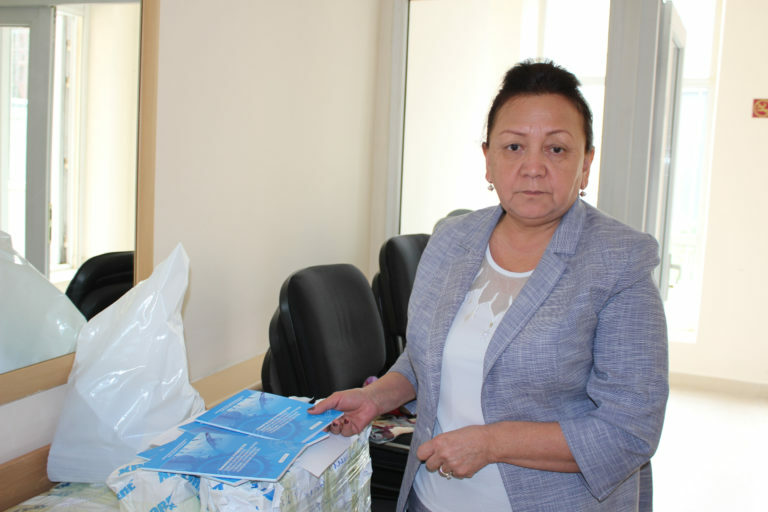 Within the framework of the project Bridging the Gaps: health and rights for key populations, AFEW-Kyrgyzstan decided to support this initiative as there were no modern standards for working with women who use drugs in the country before. A working group that included an expert in narcology, an obstetrician-gynecologist, an expert in evidence-based medicine, and a representative of the community of women who use drugs was created. In January 2017, the clinical guideline “Care in pregnancy, childbirth and the puerperium for women who use psychoactive substances” was approved by the order of the Ministry of Health and became mandatory for doctors’ use. “When the guideline was approved, we realized that it is not enough to simply distribute it among the doctors. 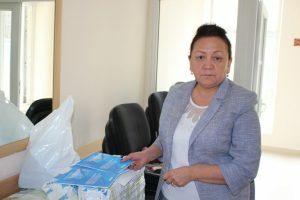 It was necessary to organize a comprehensive training for the family doctors, obstetrician-gynecologists and other specialists so that they could not only apply the developed recommendations in practice, but also share their experience with their colleagues,” said Chinara Imankulova, project manager of the Bridging the Gaps: health and rights of key populations at AFEW-Kyrgyzstan. In April 2017, trainings were organized for the teachers of Kyrgyz State Medical Institute for postgraduate students. The manuals for teachers with presentations have been developed so that in the future trained teachers could deliver reliable information to the course participants. This approach gives an opportunity to train all healthcare professionals in the country and provides them with an access to the protocol. In August 2017, trainings were offered to obstetrician-gynecologists of the centers of family medicine and obstetrical institutions. During the trainings, specialists got acquainted with the latest research in this field, studied the peculiarities of pregnancy, prenatal and postnatal period of women, who use drugs, as well as ways to avoid or minimize the risks of drug exposure to women and children. “Two or three years ago, when our pregnant women who use drugs visited doctors, they were afraid that doctors would force them to have an abortion. In September 2017, our client Victoria, who at that time was on methadone therapy, visited the obstetrician-gynecologist. Victoria gave birth to a healthy girl, and doctors treated Victoria and her child very well. Moreover, the doctor even helped Victoria to get methadone so she could spend enough time in the hospital for rehabilitation after the childbirth,” said Tatiana Musagalieva, a representative of PF Asteria. During the trainings, 100 specialists who are working in the republic of Kyrgyzstan were trained. Doctors from the regional centers were also invited for the training. It is very important to provide access to quality medical services for women who use drugs in the rural areas. Doctors also learned to get rid of their stigma towards women who use drugs and always treat them with respect. A class on stigma and discrimination was taught by women from the community of drug users. They told the participants of the training their stories, talked about how difficult it was when doctors refused to treat them or insulted them. This part was useful in reducing stigma and discrimination among doctors, in showing them that women who use drugs are just like the others. “Before the training I met several pregnant women who use drugs. To be honest, I was not sure that they could give birth to healthy children. Having received the clinical protocol, and with the knowledge I have got in the training, I realized that these women should not be discriminated. I learned about scientific recommendations for conducting pregnancy in the situations that cannot do harm to either mother or child. 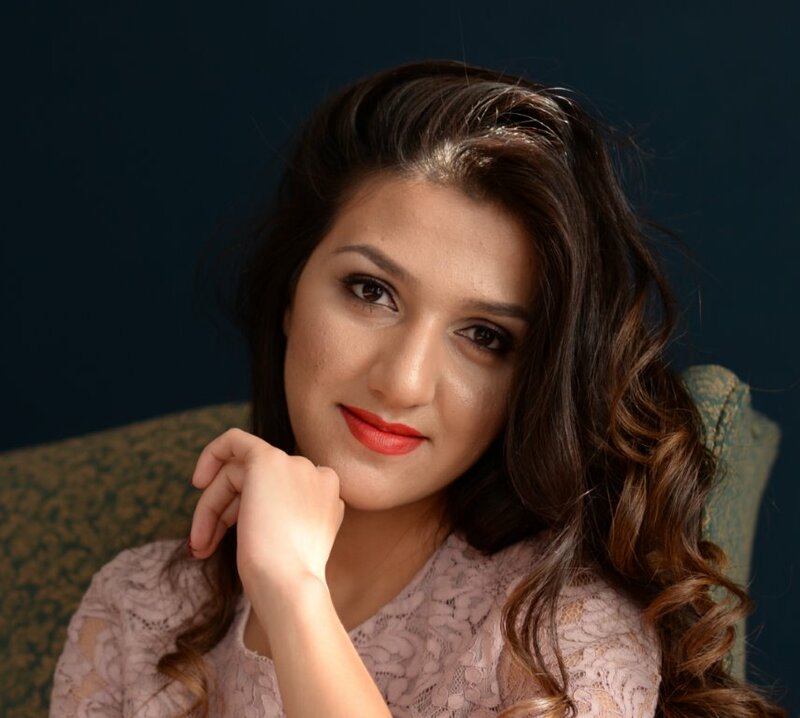 This helped me a lot,” said the participant of the training, obstetrician-gynecologist Kaliyeva Burul. All the regions of the republic already received the developed clinical guideline. Doctors who have been trained, share their experiences with their colleagues and help women who use drugs to safely plan their pregnancies and give births to healthy children. AFEW-Kyrgyzstan continues to monitor the work of specialists who have been trained, and monitors if all health specialists have access to the guideline. In the future, AFEW-Kyrgyzstan will continue to work on improving the quality of life of people who use drugs, and will monitor the usage of this protocol by doctors.